There was no reported street crime this week. 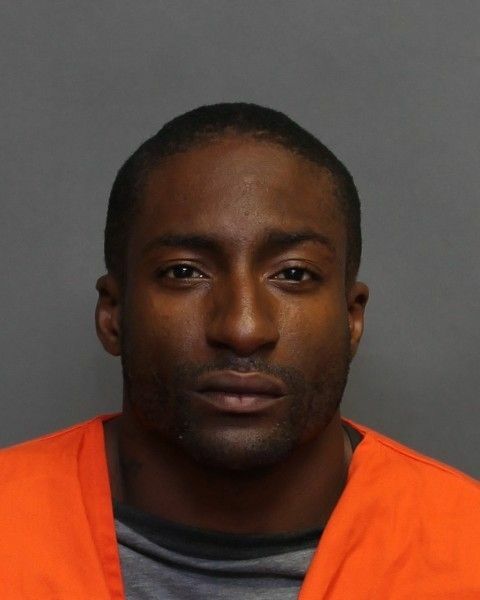 With that out of the way: another man is wanted by 12 Division police for firearms and other serious offences, a case quite similar to one from last week. Andre Stubbs, 33, was arrested for drugs in a routing traffic stop, and he was then released on his own recognizance. In a later search of his car, police found a handgun stored in a hidden compartment. He now faces a slew of charges. He is also now wanted for being a violent pimp. Police allege that for four years he forced a 19-year-old woman into prostitution and repeatedly violently assaulted her, including with weapons. He is, obviously, considered armed and dangerous. There is no great reason to suppose that he is in or from Weston. 12 Division encompasses Weston, but much more besides, and Stubbs could be from anywhere in the catchment, which includes all the areas east of us to Caledonia and from South of us to St Clair. So don’t get panicky. Adam, do you have a pathological need to publish photos of criminal black males. Does 12th division have no “whites” for whom it is looking? How does any of this relate to Weston? You may not realise it, but all these posts do is reinforce the unrealistic fear Weston Village residents already exhibit of others. If you’re interested email me, yes I am giving you a real email, and I can point you to some black males who you would consider “a credit to their race.” Seriously, being of the privileged tribe of white, Anglo males you probably don’t understand that these posts are racist in the most insidious of ways. GV, I explained how I report crime stories to you once already. You did not respond to that comment. In short: the Toronto Police posts the photos, and I repost them. If the Toronto Police are racist, you would do better to take that up with them. It clearly relates to Weston: 12 Division is the police precinct that encompasses Weston. If Stubbs is not from Weston proper, he is from the area. I explained that in the post. Please, GV, do not accuse me again of a pathology, racism, or insensitivity. I will ‘disemvowel’ your post or delete it violating my policy of no hating. Re: Westonians’ “unrealistic fear”. Nonsense. Should I write a site based on guesses about my readers’ tender psychological states? No. I explain facts. It’s what I do. Would you have me not report facts? Still, here is my offer to you: if you think you can do better, go for it. Write for WestonWeb. If you find a news story and write it up to the rather loose standards of WestonWeb, I’ll put it on the site. Adam where does one begin? 1, You were not accused of having a pathology, which would mean you had a desease, the word used was pathological, implying obsession. 2, You, personally, were not called a racist. The point was made that one cannot continually focus only on black crime without having others being to question motivation. 3, You claim to report facts. The facts were that there had been no crime in Weston. You claim to cover the Weston area, therefore, why even report on Andre Stubbs? Do these last two posts on alleged black crime denote a change of policy? Will Weston Web now be posting all 12 division bulletins? You call Mr. Stubbs “a violent pimp”, until he is convicted he is an alleged violent pimp. Next Next post: I’m too old. And tired.